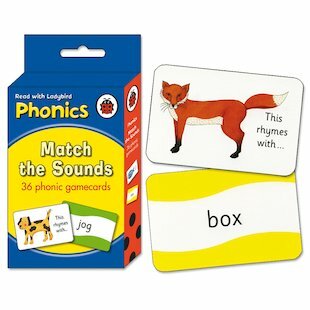 Cute, colourful flashcards for endless play with word sounds. Rhyme, repeat, memorise and match them! These quality learning flashcards from Ladybird let children start to read and speak everyday words with confidence, and connect simple words with their meanings. Can you match a picture of a fox with ‘box’? Can you find a word which rhymes with ‘crowd’? Chunky cards, bright pictures and lots of rhyming words create a package that kids will love to learn with!